Braen Supply is the leading boulder supplier in New Jersey and New York. With a variety of high quality boulders available at the best prices across NJ & NY you can get the boulders you need today. Braen Supply delivers boulders across all of NJ, NY, PA & CT.
Boulders are known for their ability to make a dramatic impact on both residential and commercial landscapes. 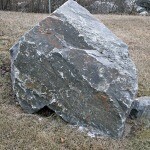 The size and unique look to each individual boulder gives the stones the ability to serve both functional and decorative purposes. Depending on the size or proportion of your property in northern NJ, you may consider working with boulders of various sizes and shapes. These stunning boulders are considerably larger than other decorative and functional aggregate materials and offer immense strength, durability and the kind of timeless beauty that only mother nature can produce. Depending on the quarry, boulders may be comprised of sandstone, limestone, granite and other materials, and are available in a wide range of sizes, shapes, textures and colors. 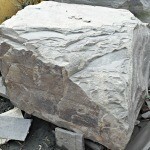 We offer pickup and bulk delivery across NJ, NY, NYC and PA of our quarry boulders. Moss rock boulders are generally characterized by the beautiful patches of moss that grow upon them. The boulders are also easy to identify because they feature very irregular and visually interesting shapes that make them stand out from other types of boulders. Moss rock boulders are very appealing because of the sense of nature they provide to every landscape. 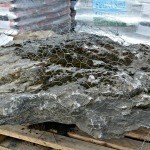 We offer bulk delivery and pickup of our moss rock boulders at two convenient locations. Kearney stone boulders feature a naturalistic and intriguing color palette that appeals to all who see it. The varying patterns, textures, shapes and sizes of Kearney stone boulders will make finding the perfect fit for your landscape easy. 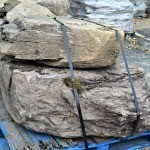 We offer Kearney stone boulders for pickup and bulk delivery across NJ, NY, NYC and PA at wholesale prices. Fieldstone boulders are naturally occurring, and have been recovered from the soil of fields throughout NJ and NY since the first settlers arrived on the continent. While originally removed to improve farming operations, these spectacular boulders are now recognized for their strength and beauty and are frequently used for landscaping and construction applications. Our fieldstone boulders are available for pick and bulk delivery across NJ, NY, NYC and PA.
Traffic diversion – On your property you may have the need to guide visitors on a particular path to avoid them traveling on certain areas of your property. 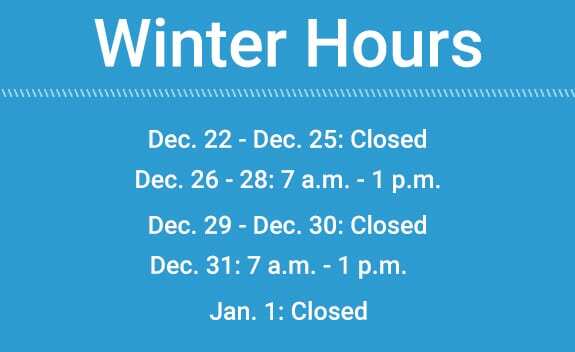 You may also need to establish barriers for driving or parking. In these situations, the strategic placement of boulders can be a big help. Seating – When smoothed and flattened, boulders can actually make very attractive benches for seating. You might place these boulder benches in the middle of a serene garden or flower bed, or along the side of a water feature. Dramatic effect – There’s no better way to draw attention to your property or a particular feature of your landscape than by bringing boulders into the mix. These interesting stones will add interest to your lawn and can also enhance other elements. Retaining Wall – Constructing a retaining wall from boulders can add an extremely unique and interesting aspect to your property. If you are considering using boulders for this purpose you should consult with a retaining wall expert before beginning work. Arrange them in groups – It’s not very common to find just a single boulder standing by itself in nature. To give your landscape a more natural appearance it’s in your best interest to either arrange boulders together in various clusters or to place several boulders in strategic locations throughout your property. Create depth – Add depth and dimension to your landscape by placing a large boulder next to smaller stones and boulders of different shapes. You can also incorporate plants of varying heights to serve this purpose. Consider scale – Keep your property looking smart and attractive by planning boulder placement based upon scale. Larger boulders should be placed next to larger plants and objects, and smaller boulders will look better near smaller landscape features. 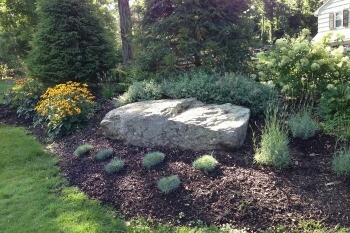 Regardless of the size of your property there are ways to make boulders look stunning on your land. Speaking with a Braen Supply specialist will allow you to fully develop the design you’d like to achieve and which boulders would be perfect to make it a reality. Boulders are available for bulk delivery to homeowners, cities, contractors, townships, schools, religious establishments and universities. Our drivers are experienced and will do their best to accommodate your delivery requests. Headquartered in northern New Jersey, our core delivery area for boulders is Bergen County, Passaic County, Morris County, Essex County and Sussex County. 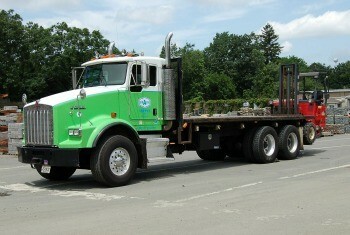 Depending on the quantity, we deliver boulders to all of New Jersey, Pennsylvania, Connecticut and New York. Our core delivery area for boulders in New York includes NYC, Manhattan, Brooklyn, Queens, Staten Island, Harlem, The Bronx, and Long Island.